. Hope to see some of our European friends at either event. Thunderbird Atlatl will be at the Paderbow Exhibition Saturday, November 17, and Sunday, November 18. We look forward to seeing all our European friends. It is Fall Festival weekend in Candor, NY. 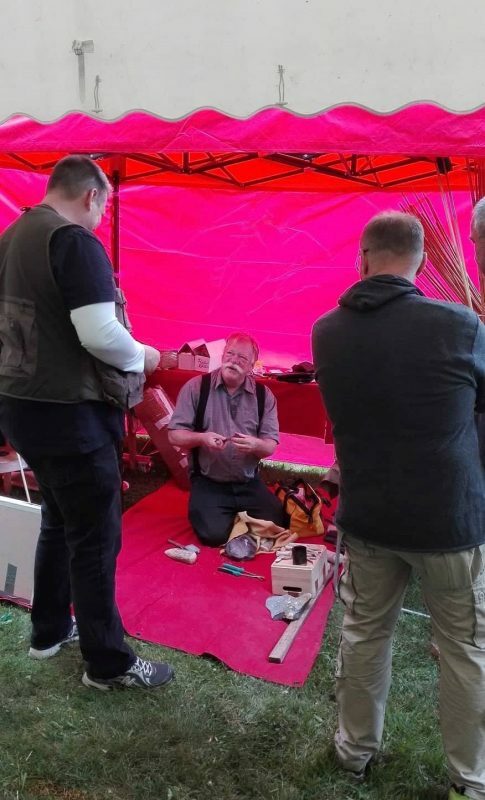 Thunderbird Atlatl will be at Side Hill Acres Goat Farm demonstrating atlatls. There will be an atlatl contest and the International Standard Accuracy Contest. Side Hill Acres will have lots of vendors on site, goat farm tours and more. Many events and activities throughout the area, including the Woodcarvers Show, Quilt Show, Scarecrow Contest, lots of vendors, wine tasting, sales, dinners and more.